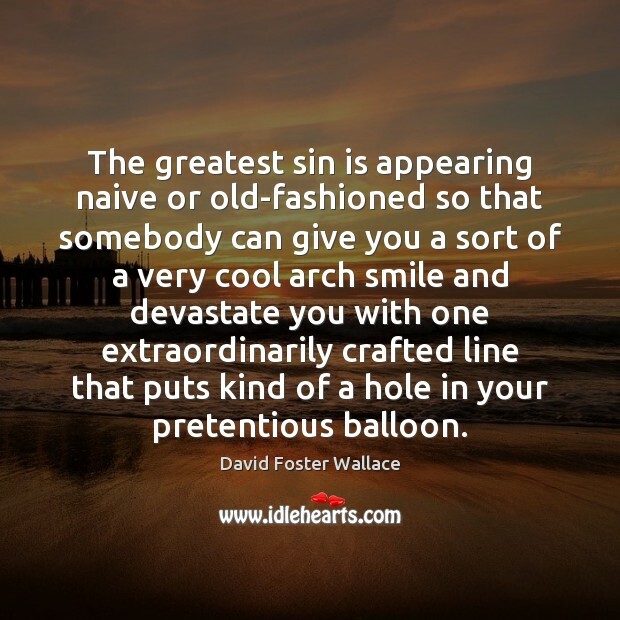 Quotations about Arches. Quotes to stimulate mind and drive action! Use the words and quote images to feed your brain inspiring things daily! 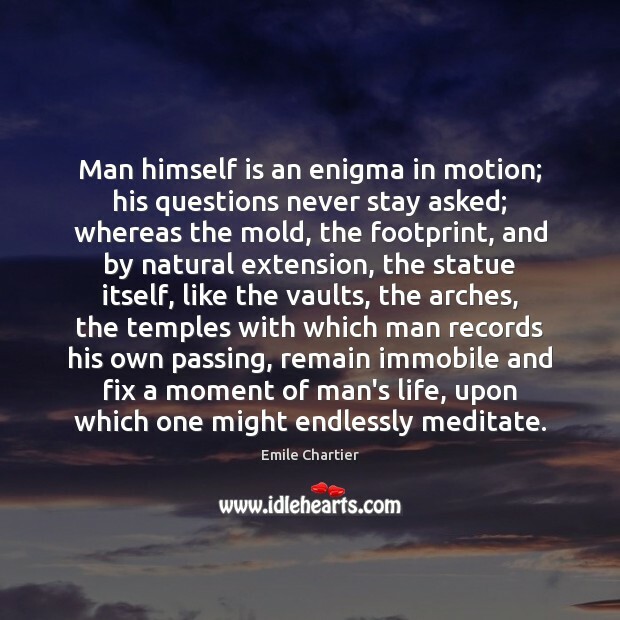 Man himself is an enigma in motion; his questions never stay asked; whereas the mold, the footprint, and by natural extension, the statue itself, like the vaults, the arches, the temples with which man records his own passing, remain immobile and fix a moment of man's life, upon which one might endlessly meditate. 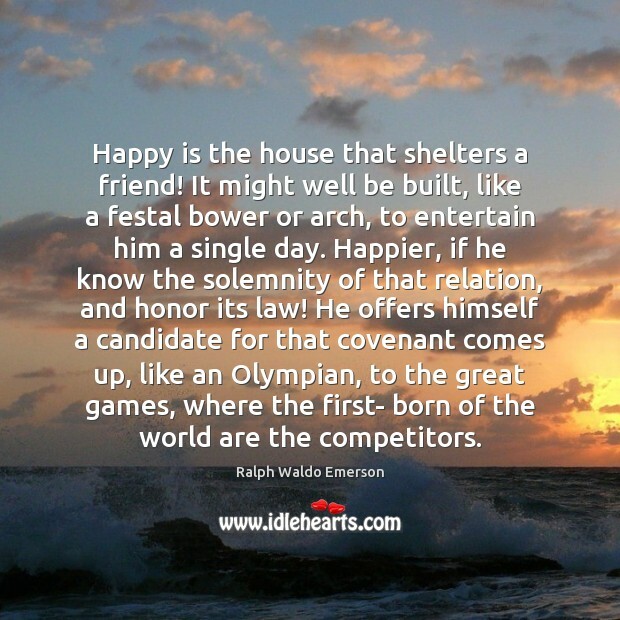 Happy is the house that shelters a friend! It might well be built, like a festal bower or arch, to entertain him a single day. Happier, if he know the solemnity of that relation, and honor its law! He offers himself a candidate for that covenant comes up, like an Olympian, to the great games, where the first- born of the world are the competitors. What is sexual in a high heel is the arch of the foot, because it is exactly the position of a woman's foot when she orgasms... So putting your foot in a heel, you are putting yourself in a possibly orgasmic situation. 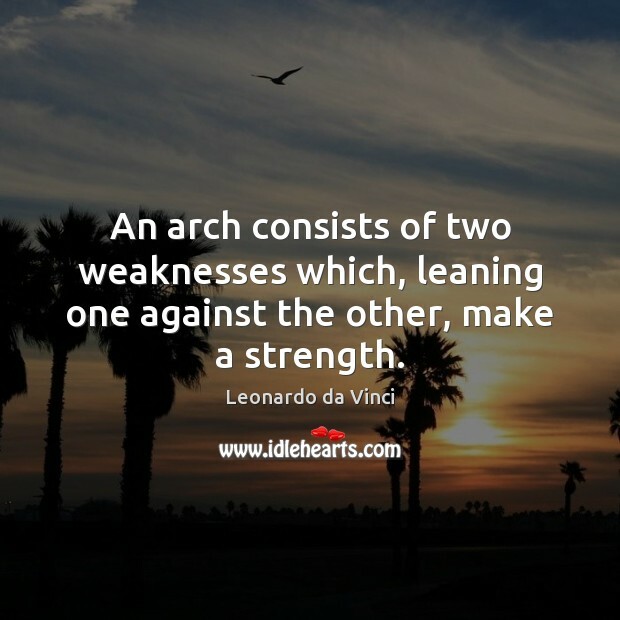 An arch consists of two weaknesses which, leaning one against the other, make a strength. 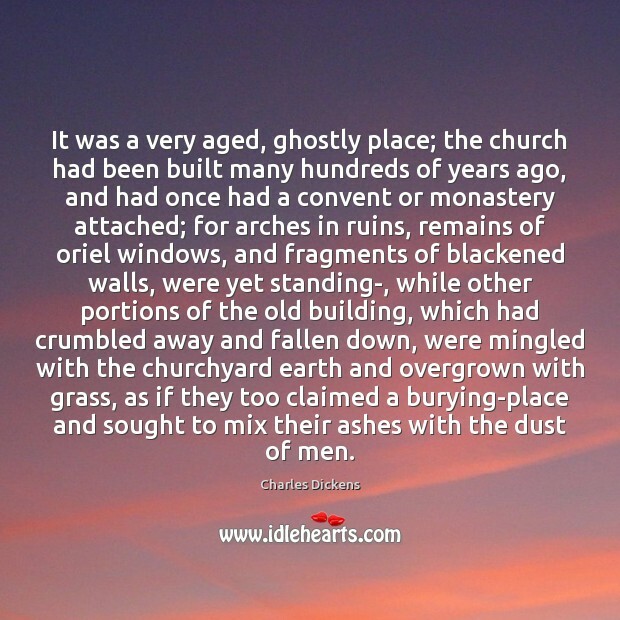 It was a very aged, ghostly place; the church had been built many hundreds of years ago, and had once had a convent or monastery attached; for arches in ruins, remains of oriel windows, and fragments of blackened walls, were yet standing-, while other portions of the old building, which had crumbled away and fallen down, were mingled with the churchyard earth and overgrown with grass, as if they too claimed a burying-place and sought to mix their ashes with the dust of men. 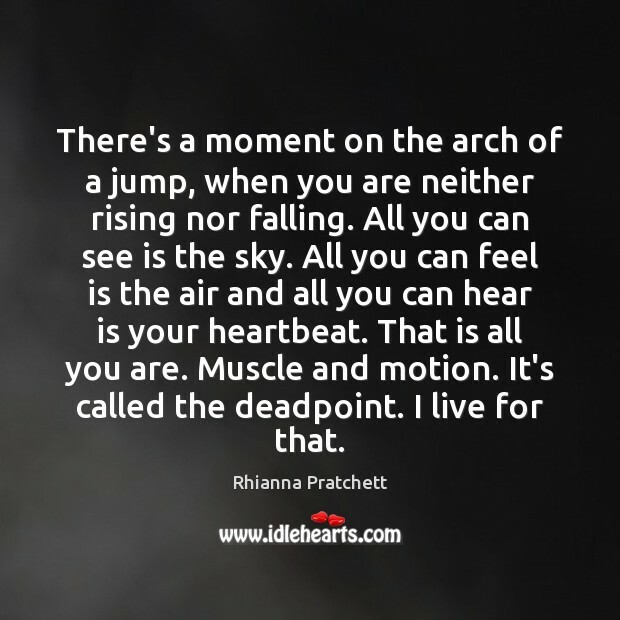 There's a moment on the arch of a jump, when you are neither rising nor falling. All you can see is the sky. All you can feel is the air and all you can hear is your heartbeat. That is all you are. Muscle and motion. It's called the deadpoint. I live for that. Men sucked. They were the root of every problem any woman could ever have. 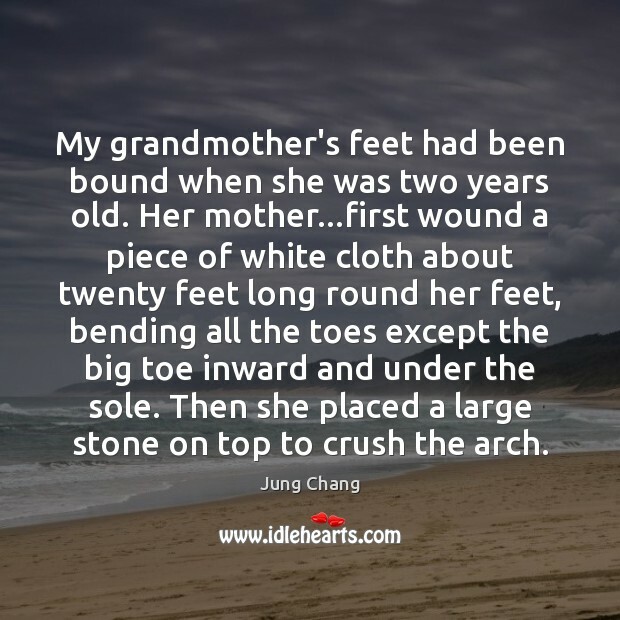 They were the reason for bras, the need for makeup, hair stylists, shaving legs, and high heels that made the arch feel like it had a steel rod slammed up it. They were picky, arrogant, argumentative, and so damned certain of themselves . 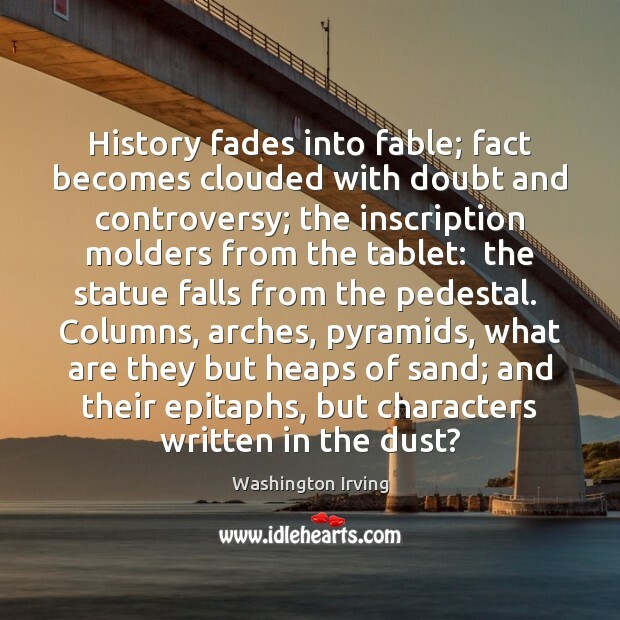 History fades into fable; fact becomes clouded with doubt and controversy; the inscription molders from the tablet: the statue falls from the pedestal. Columns, arches, pyramids, what are they but heaps of sand; and their epitaphs, but characters written in the dust? Polly Jean, I love you. I love the texture of your skin, the taste of your saliva, the softness of your ears. I love every inch and every part of your entire body. From your toes and the beautifully curved arches of your feet, to the exceptional shade and warmth of your dark hair. I need you in my life, I hope you need me too. 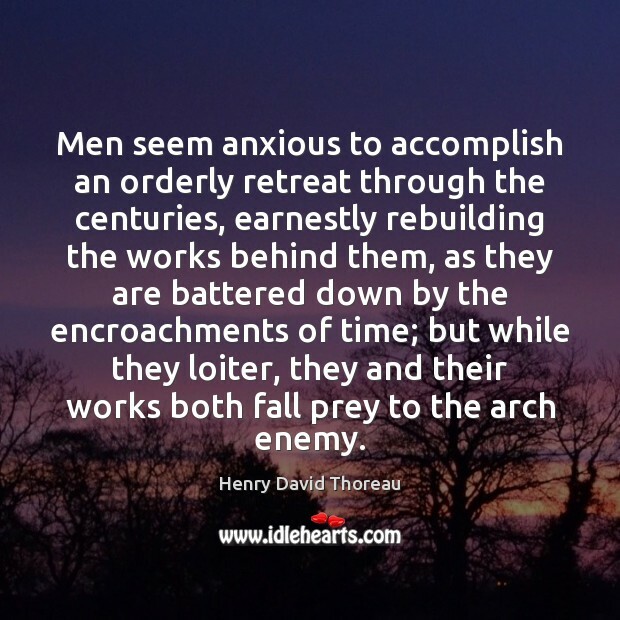 Men seem anxious to accomplish an orderly retreat through the centuries, earnestly rebuilding the works behind them, as they are battered down by the encroachments of time; but while they loiter, they and their works both fall prey to the arch enemy. As artist Nature splashes color across the vast canvas of the sky with the radiance and splendor of sunrise and sunset. 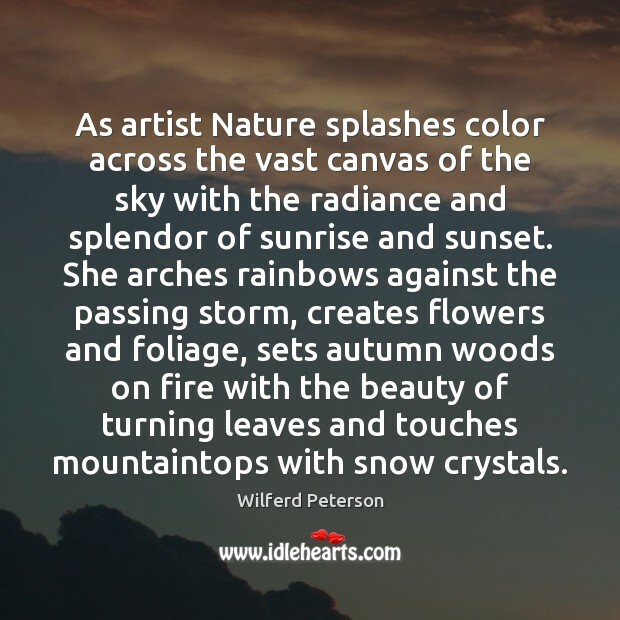 She arches rainbows against the passing storm, creates flowers and foliage, sets autumn woods on fire with the beauty of turning leaves and touches mountaintops with snow crystals. All over France, in every city there stand cathedrals like this one, triumphant monuments of the past. They tower over the homes of our people like mighty guardians, keeping alive the invincible faith of the Christian. 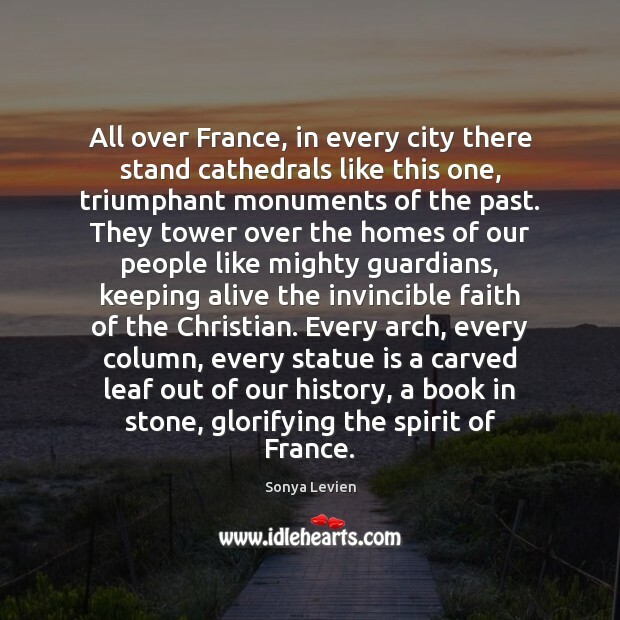 Every arch, every column, every statue is a carved leaf out of our history, a book in stone, glorifying the spirit of France. So long as I confine my activities to social service and the blind, they compliment me extravagantly, calling me 'arch priestess of the sightless,' 'wonder woman,' and a 'modern miracle.' 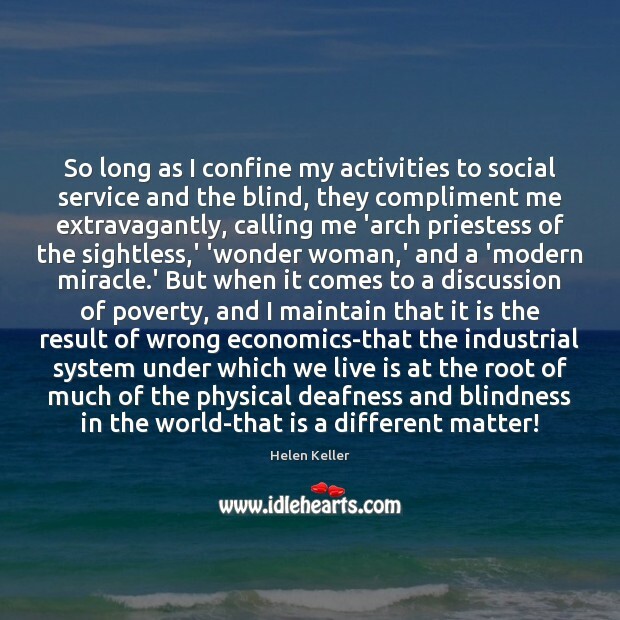 But when it comes to a discussion of poverty, and I maintain that it is the result of wrong economics-that the industrial system under which we live is at the root of much of the physical deafness and blindness in the world-that is a different matter! 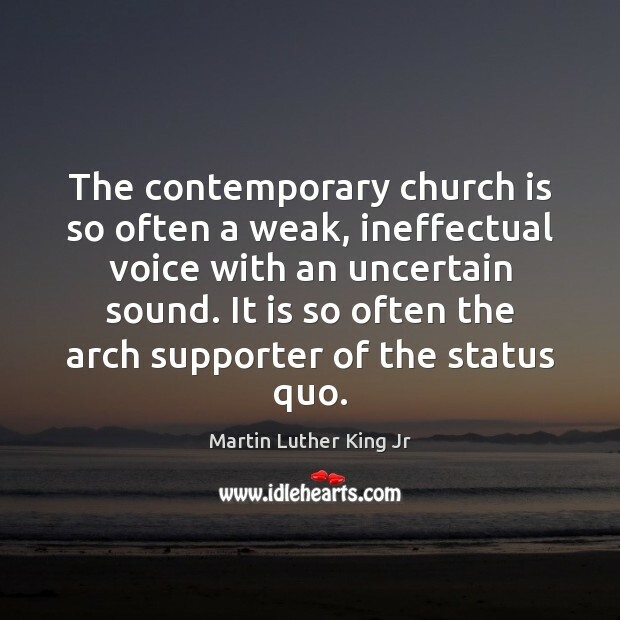 The contemporary church is so often a weak, ineffectual voice with an uncertain sound. 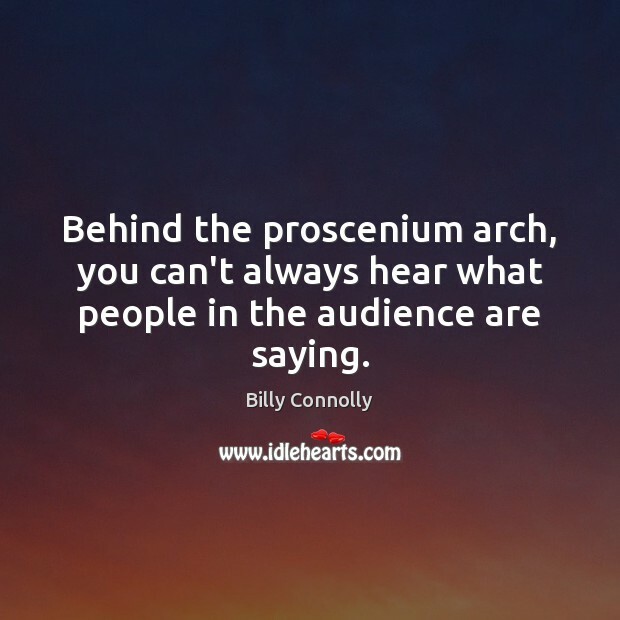 It is so often the arch supporter of the status quo.